As defined by 3GPP, LTE Layer 2 structure consists of PDCP/RLC/MAC layers. Transport channels are located between the physical layer and MAC layer. 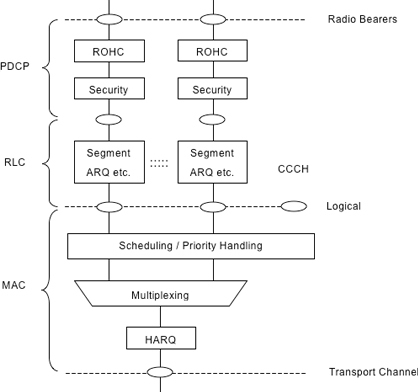 MAC multiplexes RLC links and manages scheduling and priority handling via logical channels. 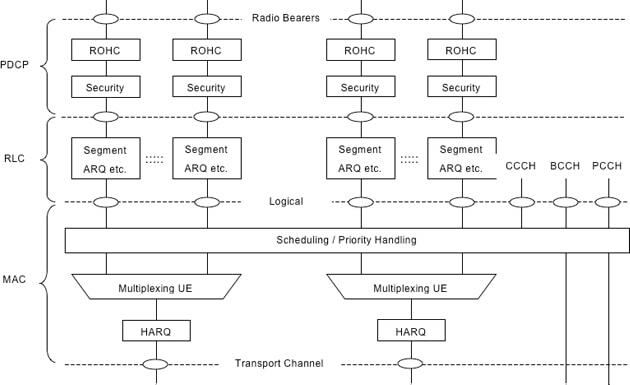 The diagrams below show the structure for the downlink and uplink of Layer 2.